Last night, the Yankees completed a series win over the defending World Series champions, the Kansas City Royals, by taking three out of four games. The Yankees won 7-3 thanks to a decent outing by Nathan Eovaldi, and then the Yankees bullpen took over, with Kirby Yates, Dellin Betances, and Andrew Miller retiring nine straight batters before the Yankees added two more runs off of Ian Kennedy and Chien-Ming Wang to win the game. Today, the Yankees will begin a three-game series against the Chicago White Sox, who currently lead the American League Central with a 23-12 record. The Yankees will look to use their dominant bullpen and resurgent offense to counter Chicago’s Chris Sale and Jose Quintana, two of the best American League starting pitchers this season. This is the first of two mismatches in terms of starting pitching for the Yankees in this series. Severino, arguably the worst pitcher in the Yankees rotation right now, faces off against one of the American League’s best in Chris Sale. Sale hasn’t lost a game this season, and has allowed less than two earned runs in four of his last five starts. He’s coming off a dominant outing against the Twins where he only allowed three hits and two earned runs in seven innings, while striking out nine. 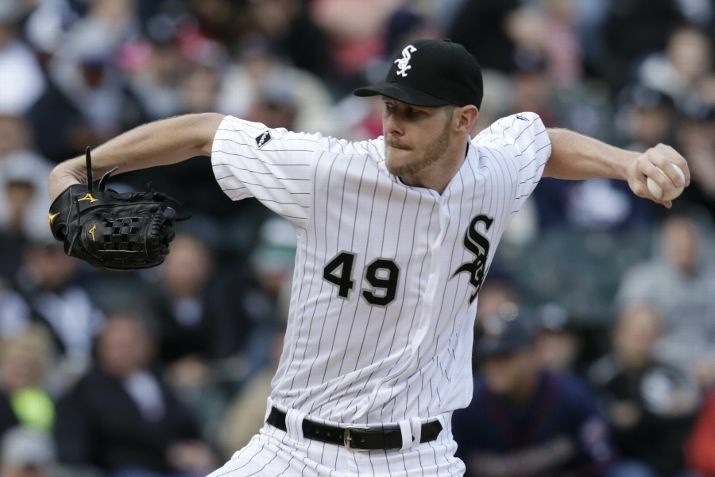 In his last five starts, Sale has pitched to a 1.25 ERA and has struck out 33 batters in 36.1 innings. The most impressive feature of Sale’s game is that he allows very few hits; in 50.1 innings this season, he has allowed only 29 hits. Sale’s WHIP is very low at 0.77. Last season, Sale pitched once against the Yankees, allowing seven hits and three earned runs in seven innings, but lost in a tightly contested 3-2 ballgame. Meanwhile, Luis Severino has been the complete opposite of what Sale has been for the White Sox. Severino is coming off a decent start, where he allowed four earned runs on five hits in 6.2 innings. He struck out nine Red Sox batters, but also allowed three home runs. Severino has had a rocky 2016, and has fallen victim to the inability to put hitters away. He also has run into problems with his pitch count, as he still has not completed seven full innings yet this season. An alarming trend is that Severino has allowed five homers over his last two games. Severino must right the ship and use his off-speed pitches to balance out his fastball. After a horrendous April where he pitched to a 6.86 ERA, he’s only given up ten hits in his last 12 innings, but still has a long way to go to match the consistency he showed last season. Jose Quintana has pitched very well for the White Sox this season, and especially as of late. Quintana is coming off of four straight outings where he’s given up one earned run or less. He is 4-0 in this four-game span with a 0.64 ERA, and over these last 28 innings, he’s struck out 29 while allowing only 18 hits. One thing to look out for is that he had a finger cramp throughout his last start against the Twins, but he is expected to start Saturday’s game. Quintana was actually a part of the Yankees farm system from 2008-2011, and was able to work his way up from the Dominican Summer League to High-A Tampa. 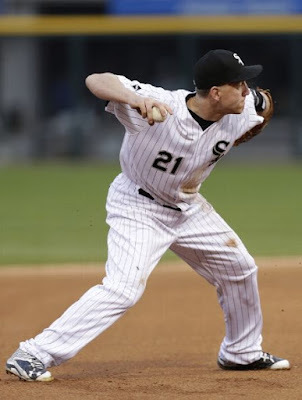 However, he eventually signed with the White Sox as a free agent in the 2011 offseason. Quintana features a four-seam fastball, two-seam fastball, as well as a curveball; the Yankees must take advantage of their opportunities against Quintana, as he has been dominant as of late. 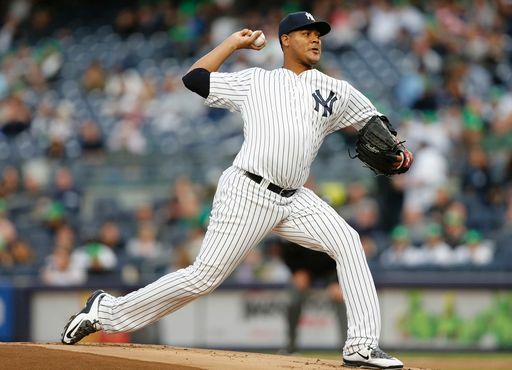 Since CC Sabathia is still on the 15-day disabled list, Ivan Nova will make his second start in the rotation this season. Nova fell one out short of five innings last time out against the Kansas City Royals, as he allowed six hits and walked one over 4.2 innings. His pitch count was 75 in the Royals game, but it is expected that the pitch count will slightly go up in Saturday’s game against the White Sox. Nova has been up and down out of the bullpen in the long relief role, allowing three or more earned runs twice in six outings, but pitched four shutout innings on April 6 against the Astros to earn a save. Nova ran into trouble by putting too many baserunners on and getting into deep pitch counts with several batters in his last outing; therefore, Nova must work efficiently through the White Sox lineup if he wants to pitch into the seventh inning for the Yankees on Saturday. Miguel Gonzalez has only made two starts for the White Sox this season, where he allowed eleven hits and five earned runs in his first start, but settled down to allow only one earned run in his last start against the Texas Rangers. Gonzalez has a 2:1 K to BB ratio in these last two starts, so the Yankees must remain patient against Gonzalez in order to get into the White Sox bullpen early. Gonzalez features a four-seam fastball, two-seam fastball, changeup, and slider. Batters are only hitting .100 off of his slider versus .333 off of his changeup this season, so expect Gonzalez to heavily rely on that as his primary off-speed pitch. Masahiro Tanaka comes off of his worst start this season, allowing six earned runs in seven innings. Tanaka also allowed an alarming three home runs. However, on May 5, Tanaka shut down a potent Orioles offense, allowing just five hits and zero earned runs over eight innings. Tanaka has undoubtedly been the ace for the Yankees starting rotation this season, and his numbers prove so. He’s been able to give the Yankees depth as well, pitching at least seven complete innings in four of his last five starts; he fell just one out short of the seven innings on April 29 at Boston. Overall, this season, Tanaka’s WHIP has been solid at 0.93, and he’s allowed 36 hits while striking out 39 batters over 46.1 innings. 1. Gary Sanchez: As Joe Girardi hinted at in his pre-game press conference on Thursday, the Yankees have called up catcher Gary Sanchez, who lost the backup catcher competition during Spring Training to Austin Romine. In Triple-A Scranton this season, Sanchez has hit five home runs and 21 RBIs, and currently owns a .288 batting average. He was called up as the Yankees will face two left-handed pitchers in Sale and Quintana on Friday and Saturday, and he will most likely start in one of those two games. Sanchez is an exciting prospect, ranked as #3 by MLB, and will look to take advantage of the opportunity given to him this weekend. 2. Mark Teixeira: Teixeira has struggled as of late. He is 4-for-28 in May (.143), and has zero extra base hits and only 1 RBI. In his last two games, Teixeira struck out six times, thrice in each game. Before Wednesday’s game, Teixeira had not struck out three times in one game since August 1, 2015. Even though Teixeira is a major asset for the Yankees on defense, he has been a liability this month on offense, and he has significantly cooled down since hitting three home runs in his first seven games. 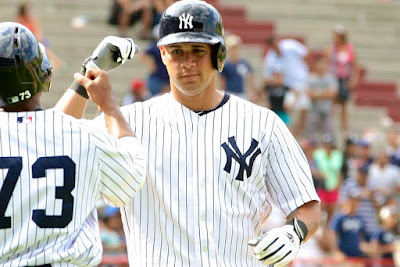 Look for Teixeira to hopefully bounce back and have a good series offensively. The Yankees need him to fire on all cylinders, both on offense and defense, in order to get back to a .500 record. 3. Chase Headley: Headley has been on a streak in the last three games, with four RBIs and five hits. He has finally turned it around, and he even homered on Thursday against Ian Kennedy. Look for Headley to continue his hot streak against the White Sox, as Ronald Torreyes has cooled off as of late and Headley may get a chance to start one of two games against either Sale or Quintana. 1. 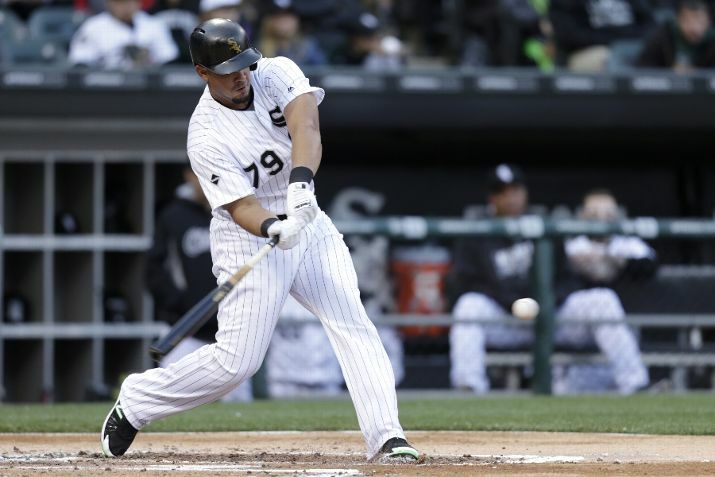 Melky Cabrera: The former Yankee, Melky Cabrera, leads the White Sox in batting average (.308) and in hits (40). Cabrera has also been on a hot streak late, batting .379 in his last seven games, and has 11 hits and 5 RBIs to go with his high batting average. 2. Todd Frazier: Frazier leads the White Sox with 11 HRs and 31 RBIs, and in his last seven games, Frazier has 4 home runs and 13 RBIs. Frazier is a threat to go deep at any point, and he has a base hit in four of the last five games, and 8 base hits in this five-game span. Look for Frazier to bat cleanup and anchor the White Sox offense in this series. 3. Jose Abreu: Coming off the 2015 season where he hit 30 homers and drove in 101 runs, Abreu has reached base safely in nine of ten games in May of this season and is a powerful hitter that has 66 home runs in 2014 and 2015 combined. Although he started off the season slow with a .229 batting average in April and just three home runs, he’s hit .308 this month and already has two home runs and nine RBIs. 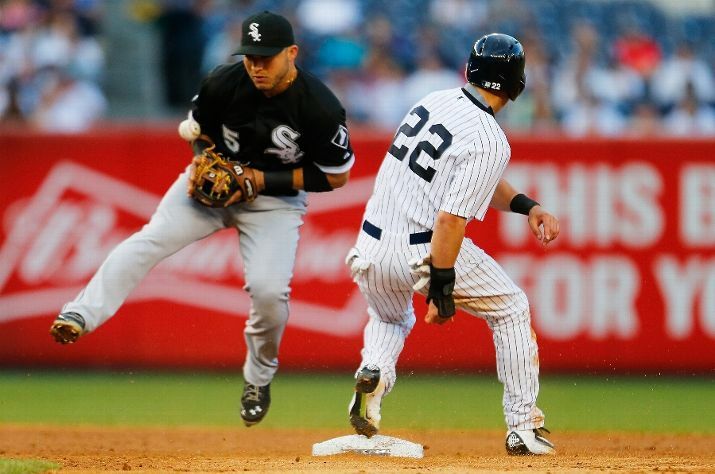 The White Sox first baseman will be a threat to Yankees pitchers all series long. 1. Manage the bullpen carefully: Joe Girardi managed Dellin Betances, Andrew Miller, and Aroldis Chapman well in the Royals series. However, with Chris Sale and Jose Quintana on the mound, the Yankees will likely use all three of these pitchers in the first two games to either keep a close lead or to prevent a deficit from growing. Since all three pitchers will be available on Friday, Girardi must take advantage of this and use them even if they are losing. As we saw in Wednesday’s loss, the Yankees brought in Phil Coke and Nick Goody and were unable to keep the deficit from growing. 2. Take advantage of the runners the Yankees can get on: To put it simply, the Yankees will have trouble getting runners on against Sale and Quintana. Both are absolutely filthy and will limit the chances the Yankees have to score. Since both can easily pitch seven or eight innings, the Yankees have to score when they get runners on. If the Yankees have to play small ball, so be it. Additionally, situational hitting will really help the Yankees should they get runners on to begin an inning. 3. The entire lineup must be productive: We have seen the problem where Girardi puts out a lineup with a strong first half (hitters 1 through 4 or 5) but then the second half is very weak. However, Chase Headley and Didi Gregorius both homered on Thursday, so perhaps those home runs were signs of what will come this weekend. If the bottom half of the Yankees lineup can produce, and Mark Teixeira gets going, the Yankees offense will be hard to pitch to this weekend and in the future. Chris Sale should have very little problem taking care of the Yankees on Friday, and with Luis Severino still struggling, the White Sox offense should be able to win by a couple of runs. The Yankees offense will hopefully be better on Saturday against Jose Quintana, and as long as they stay patient, the Yankees will also win the series finale against the inconsistent Miguel Gonzalez. Masahiro Tanaka has been dominant all season, and he should be able to rebound after his poor outing on Tuesday against the Royals.